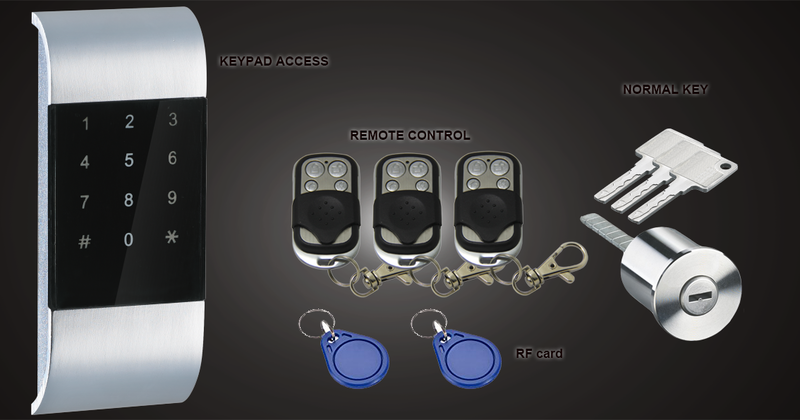 The lock can be opened by a remote controller, a keypad, an RF card or just an ordinary key. 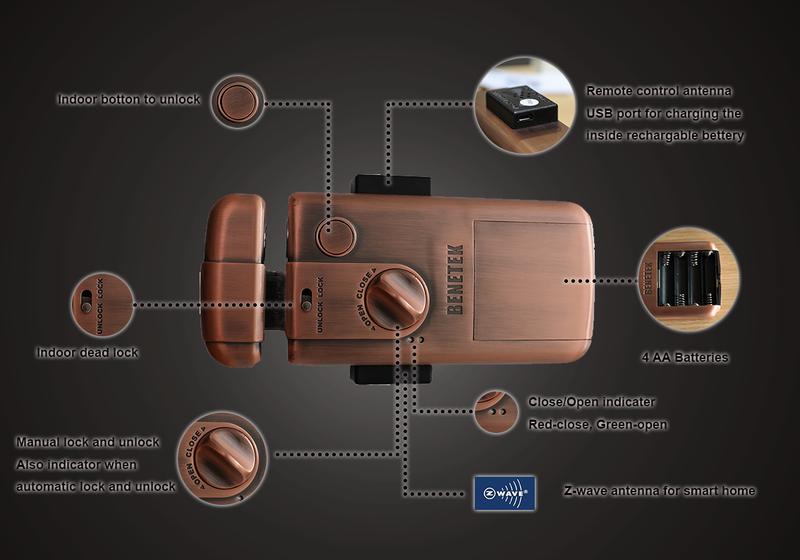 Most importantly , it is connected to your Smart home system, so you can unlock it from your smartphone or by your Smart home system with desired trigger event! Moreover, it works with Apple Homekit through our gateway. Hence the lock can be controlled on iPhone through Siri. Just push and say: Siri, unlock the front door. Then the lock is UNLOCK! Furthermore, it has a very long battery life. 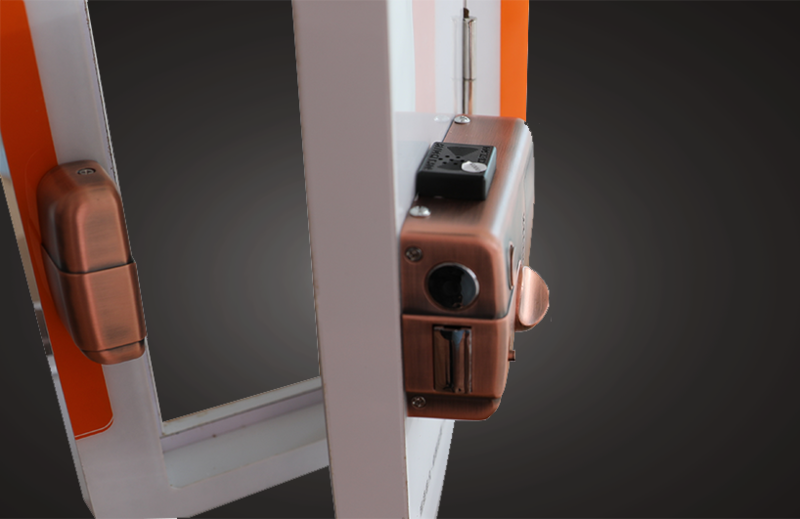 This is the first Smart Invisible Door Lock -This is just an option. 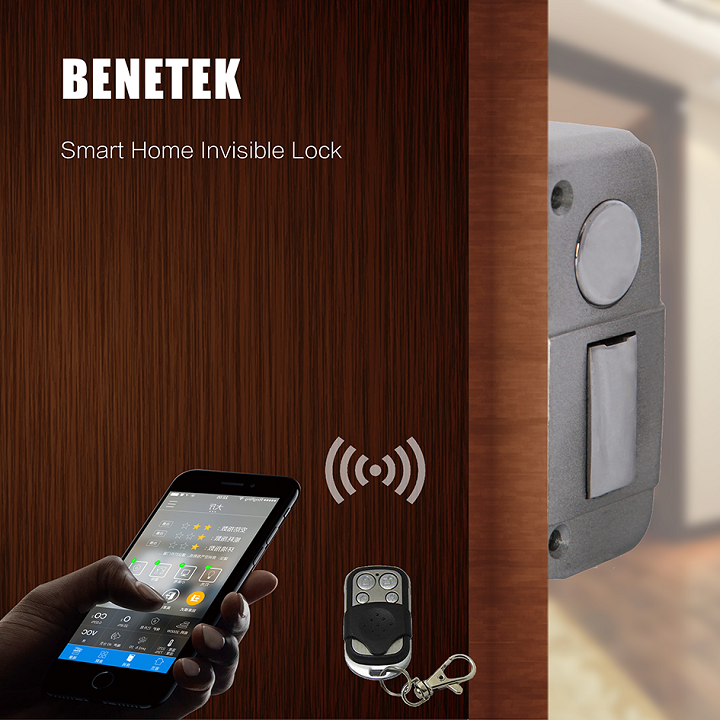 Since it is a remote-controlled lock, you don't need a key hole for this lock; the benefit is that the lock is totally invisible from outside. Hence, it is difficult for the burglars to locate the lock. The lock was made of zinc alloy. The lock shell is 4mm thick. Four AA alkaline batteries and one 18650 rechargeable backup battery. Features of the Latch: Lock Latch length > 25mm, Comply with GA/T73-94 5.16B standard. Latch size: 25x30x15mm, it is even stronger!